MagFan ONe is our ”conventional” ON/OFF wall fan. 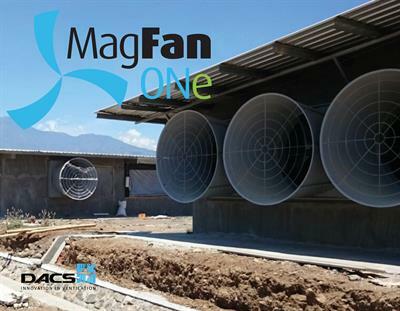 The MagFan ONe sets new standards in terms of efficiency, capacity and pressure performance. It will simply revolutionize the market for ON/OFF controlled wall fans. The MagFan ONe is in every aspect identical to the existing MagFan, except it is an on/off fan. It is still a direct drive fan, so no belts and pulleys – hence no maintenance. Mr. Ang Bee Tiam from QL Agrofood Indonesia first bought and installed 96 units MagFans 18 months ago from PT Ansell Jaya Indonesia. Followed by another repeat order for 84 units. More orders–I have had no issues with the MagFans whatsoever. This is an extremely unusual situation in our part of the world, with high loads on the fans and many running hours, and a poor quality power supply. Where we see other fans fail these MagFans just cope with it and run and run and run Mr. Ang points out. 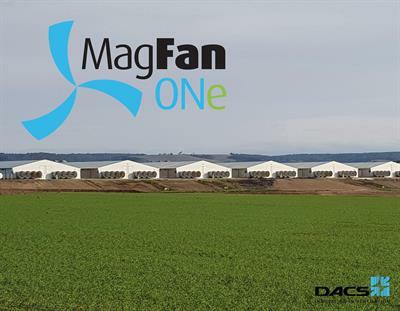 Reviews have been disabled for MagFan ONe - sets new standards.